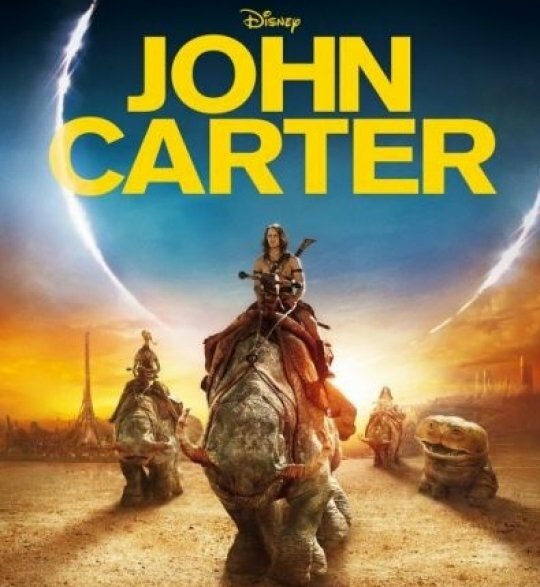 Walt Disney expects to lose $200 million on its new movie John Carter, making it one of the biggest flops in cinema history. The John Carter film, about a military captain transported to Mars, could result in an $80-120 million loss for Disney’s movie business during the current quarter. Disney shares fell 1% in after hours trading after the announcement. The company is still likely to make a substantial quarterly profit, though, thanks to its TV businesses. It is estimated that John Carter cost $250 million to make and it is likely that Disney spent another $100 million on marketing. The film’s director, Pixar’s Andrew Stanton, had previously had great success with films such as Finding Nemo and Wall-E. The John Carter film is based on a series of books written by the author of Tarzan, Edgar Rice Burroughs. The series began with A Princess of Mars in 1912 and ended with John Carter of Mars, published after the author’s death in 1964. The film has taken no more than $184 million at box offices worldwide, with cinema owners receiving about half of that total. It is difficult to compare losses on films, as studios reveal little financial detail and allowances have to be made for inflation. The Hollywood Reporter says that last year’s biggest flop was Mars Needs Moms, which cost $150 million to make and only took $39 million at the box office. Disney will be hoping for success from other big budget movies due for release later this year. The list includes The Avengers, due to be released in May, and Brave, set to be released by Disney Pixar in June.